Here are some tips that will help you in the overcrowded online blogging sphere. Use simple and plain language that the potential visitor understands and is not overwhelmed by difficult words and long sentences. The content should flow naturally and should normally be short and concise. 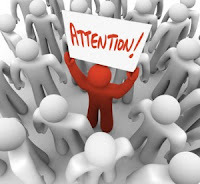 The online visitor is fickle and has a short attention span and long posts may force them to shift. If you need to write a long post, break it into two or three posts. This will keep the user engagement levels high as well. You can also create bullet lists of the various points to be covered in the post to break it down. Paragraphs should be short as you need to break the monotony. The post should have a clear and meaningful Title that covers the topic. The Title is not only your attention grabber but is very important from an SEO perspective as well. The post should have clear sub- headings and should be linked to other pages or other informative sources like Wikipedia if required. Don’t stuff keywords but use them judiciously. Don’t go overboard with the internal and external linking in a post. With the advent and boom in Social Media, the post should be focused on creating a conversation rather than preaching in a Formal tone. You need to engage the visitor. They should leave comments on the post and you can reply to them. Speak to the visitors and the conversation will flow. The post should have the various Social Media icons like Facebook, Twitter, Google Plus, stumbleupon so that the user can promote it to other online friends and you can have the maximum impact with a viral effect.